You are currently browsing the tag archive for the ‘rett syndrome’ tag. Yesterday, we sat in 5 hours of traffic taking Jocelyn to Los Angeles for her orthopedic appointment. Her scoliosis is turning her into a question mark, her back brace is so uncomfortably tight it disturbs her g-tube and makes feedings difficult. We strive to do the best for our daughter but we are constantly juggling details like this. After the long day, the-oh-too-familiar feelings of “defeat” and “alone” swarmed over me. A feeling I am certain every Rett Syndrome parent feels from time to time. But today is a new day. 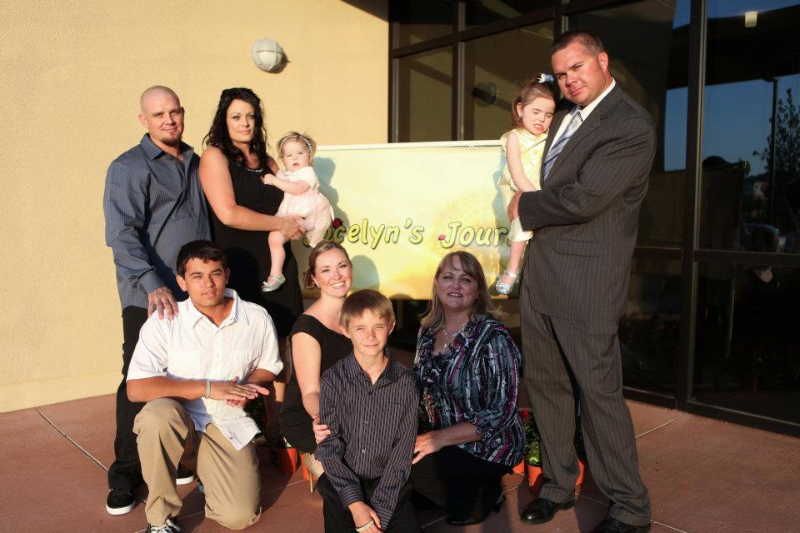 Today I am preparing for our first committee meeting of the year for Jocelyn’s Journey. Today, I get to fight back and drink up the hope that once Jocelyn is cured, days like yesterday will be a memory, instead of my day to day reality. This is our 5th year hosting Jocelyn’s Journey and we’ve proudly supported the Rett Syndrome Research Trust with 100% of the revenue from each event. As I reflect on our first year hosting, I was a mess, honestly. It was hard for me to admit that I needed help. I was so afraid no one would buy tickets to come to our event. I was worried what people would think of me, asking for money. I was worried my friends and family would be too busy with their own lives to join forces with me and make a committee. I have learned, in the past five years, that I couldn’t have been more wrong. The outpouring of people who support us each year has humbled us. I’ve learned that people want to help us, they just don’t know how. Having an annual event that supports the research that will one day CURE Jocelyn inspires and thrills everyone to help. Our committee has grown from 5 people to 20 in just a few short years! We sell out of tickets each and every year for the event, donations roll in and we are becoming well known around our community. RSRT is very helpful each and every year and has guided us on what to do, as I had NEVER done anything like this before. Year one, left me hooked—I figured out how to get over the sadness, defeat, feeling alone and helpless: I fight back! 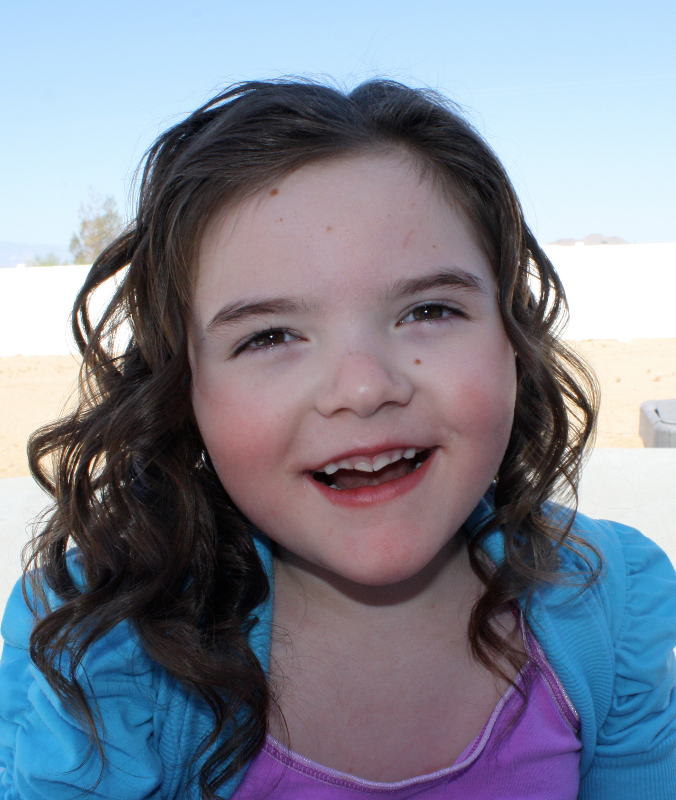 Jocelyn’s Journey’s moto: “No donation is too small or too large” and we stand on that! We are grateful for every dollar and I know RSRT is too! A few months ago, I was speaking to Tim Freeman, Program Director at RSRT, and he expressed to me “if just 10 more families would do what you are doing with fundraising, it would change the research”. I was sad that money was standing in the way of Jocelyn and all Rett girls getting treatment. But then I was excited—this was in our control! We, all Rett families, can fix this problem and expedite treatment! 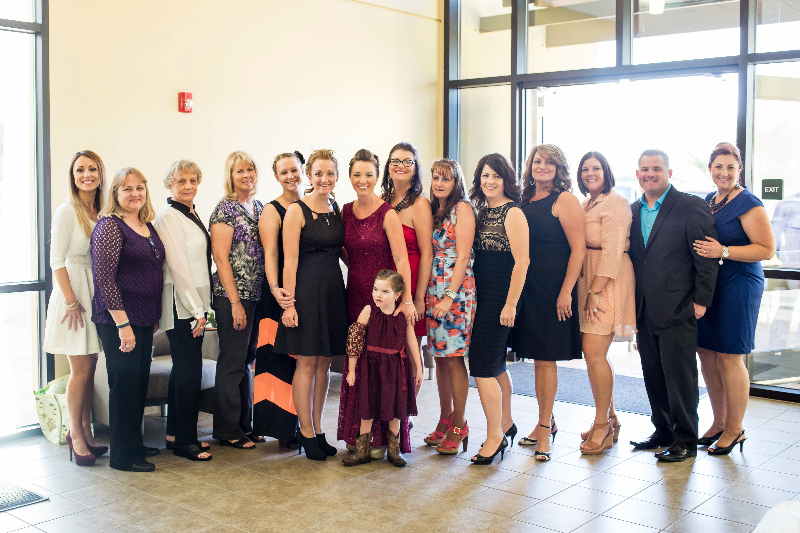 The Jocelyn’s Journey committee and I have set a goal this year to be one of those 10 families by doubling our average fundraising earnings. So that leaves 9 families! There has to be someone out there who has thought of hosting an event but has been worried about how to get started. I relate to the hesitation, but be assured, you will have more support and guidance than you would expect. Call Monica or Tim, please! An event is absolutely worth it and brings in the most funding. An event can be anything you want it to be—a barbecue, a poker party, a pancake breakfast, a 5K walk or run. And there are other things you can do too. I did an “informational” booth at church to talk about Jocelyn and without asking, people handed over donations! Be creative, be fun! If all 15,000 Rett families hosted something small that raised just a few hundred to a thousand dollars, the impact would be huge. No event is too large, or too small! Please learn from my fear in the beginning: your friends and family want to help you—they just need you to give them the opportunity to help. As Rett parents we know, the first step is the hardest one. Some of us, like myself, are still waiting to see their girl take her first step. The same holds true for fundraising—getting started is the first step and the hardest part. Once you get going though, you don’t want to stop. I won’t stop, I will not give up. I don’t expect Jocelyn to give up and I owe her the same strength in return. I’ve been thinking a lot lately about the phenomenon of the Ice Bucket Challenge that swept the nation this past summer. This was a major coup for research on ALS, also known as Lou Gehrig’s disease. By most accounts it resulted in more than $100 million going to several organizations that support ALS research. It also created a whole new level of awareness of the disease. I was very happy to see this. ALS is an awful disease and research to find treatments or a cure is highly worthy of support. It was also great to see the country so caught up in a movement for a good cause. A number of people have asked me if I wished the whole phenomenon had focused on Rett Syndrome instead of ALS. My answer—of course I do. How could I not? I have a daughter who struggles every moment of every day with Rett. What would I not do to hear her say “daddy” or “mommy” or to watch her walk across a room? It’s not just my daughter who moves me to say this; it’s also the more than 150 other girls and women with Rett Syndrome I’ve now met. It’s their faces and their expressive and intelligent eyes that keep me awake at night. So, yes, I wish the Ice Bucket Challenge had raised $100 million for Rett research to change their lives and my daughter’s life. That kind of funding would create a sea change for our research. It would greatly speed up progress. It would buy more time from the scientists who are already working so hard on Rett Syndrome; it would allow us to expand the number of researchers focusing on Rett; it would enable more projects and more scientific collaboration. In short, it would very likely have a tremendous impact on accelerating us towards what we all want so badly—effective treatments and a cure. I could go on wishing, but that wouldn’t be very productive. So instead I started thinking about what I learned from the Ice Bucket Challenge and how I might apply it. I asked myself why people gave to this phenomenon so readily and generously. It’s clear that they weren’t giving because of information they got on ALS or the research. Most of the Ice Bucket videos I saw contained little or no information on ALS. So why did people give? I think they gave because of who asked them. They gave because they were “challenged” by someone they knew, trusted, and respected—a friend, a colleague, their daughter or son, their parents, or an old college or high school pal. Even celebrities gave because they were “challenged” by some other celebrity they know or work with. The Ice Bucket Challenge showed me that what’s all important is who is doing the asking. It showed me something that sounds basic, but is so important—that each of us has the power to ask and that we all can act on it with our own friends and family and make a difference to the research and to our daughters’, granddaughters’, sisters’, and nieces’ lives. And now, around the holiday season as the year is ending and people are thinking about their giving, is the best time to do it. I know I’m making it sound easier than it is. Asking people for money, even for a compelling and promising cause like ours, is hard. But what I find is that the results are surprising and rewarding—not just the fact that people give, but that they give so happily and that they are so pleased to be making a difference. You might say to me—well that’s nice; but how do I ask? What do I say? Do I do it in person or in a letter or email? Those are all good questions. But there’s no one-size-fits-all answer. My advice is to tell your story about why you care about this, and then ask if people will give to this cause that matters so much to you. You know best what would work for your friends and family—maybe it’s a heartfelt letter or email; maybe it’s knocking on a few doors; maybe it’s taking a group of friends out for coffee or a drink. There’s no right or wrong way to do it. Keep it simple, be honest, respectful, and do it from the heart. So this holiday season, if you’re not already involved with events or asking family and friends for support of the research, try it. Try asking a few people and see what kind of response you get. I think you’ll be pleasantly surprised. I am here to help if you want to think it through or run a letter by me. Please do not hesitate to call or email me any time. Thank you so much. Chelsea is 18 years old today. 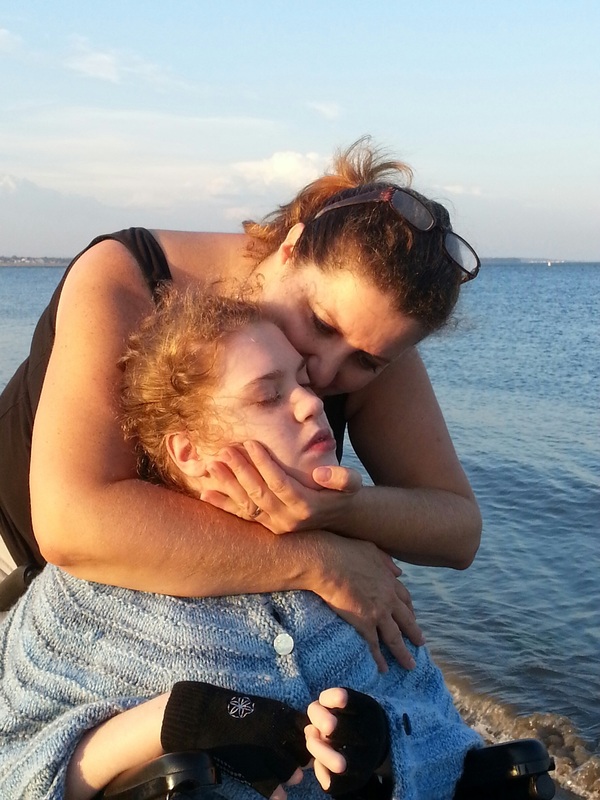 It’s a milestone birthday that parents of special needs children face with mixed emotions. My heart is full with love and pride for the beautiful, emotive, tender yet determined young woman that Chelsea has become. But today I am also mourning. Mourning for a childhood never lived and forever lost. When Chelsea was a toddler I made her a promise – that I would do everything in my power to heal her. With little science background, zero drug development knowledge and no fundraising experience I did not appreciate the enormity of my promise. Ignorance, at times, can be a blessing. 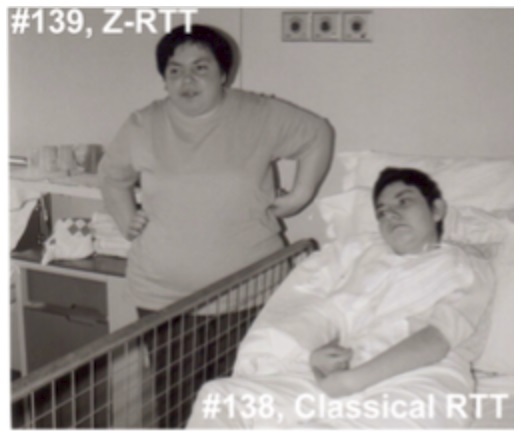 The Rett research landscape in the year Chelsea was diagnosed, 1998, was dismal. The disorder was practically unknown in medical and scientific circles, there was no known gene and therefore no diagnostic blood test, there were no animal models, and there was little research beyond trying to pinpoint the genetic cause. My conviction that treatments and a cure for Rett were possible came from both visceral intuition and a mother’s love. Today that conviction is based on science. But when will that cure come? Is it really “around the corner” as I so often read on facebook and other social media? I do not know the timeframe associated with “around the corner” (is it weeks, months, years?) but I am confident that a number of treatments will become available to our children in the coming years that will improve certain symptoms. The Potential Rett Syndrome Therapeutics chart on the RSRT website provides insight into the numerous interventions currently being pursued. As parents we will take any improvement in our children’s symptoms that we can get. But what about the “like it never even happened” cure? (My all-time favorite catchphrase from the disaster restoration company, SERVPRO) For now we do not know whether the cure will be gene therapy, or protein replacement or activating the silent MECP2 (or the entire X chromosome) or a drug that modulates a modifier gene or perhaps a combination of some or all of these approaches. And we don’t know what a cure for someone like my daughter, who is now an adult, will look like. Will she be able to speak, to walk, to use her hands? The reversal experiments originally done in Adrian Bird’s lab and repeated over and over again in many labs gives us solid proof-of-principle that dramatic reversal of symptoms should be possible. I have yet to hear one piece of scientific data that would dampen my optimism that a cure is possible. Scientists are making progress on many fronts including gene therapy. Rett researchers are collaborating and sharing information in real-time in a way that is unprecedented. Examples include the MECP2 Consortium, the Gene Therapy Consortium, and researchers focused on reactivating the silent MECP2. Technologies exist today that are enabling experiments that only a few years ago would be impossible. 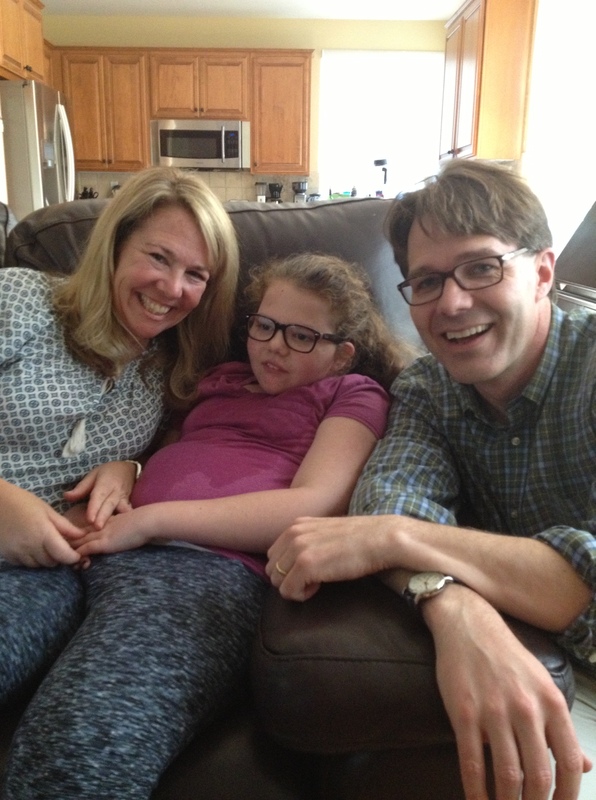 Rett has become a high-profile disorder in scientific circles. 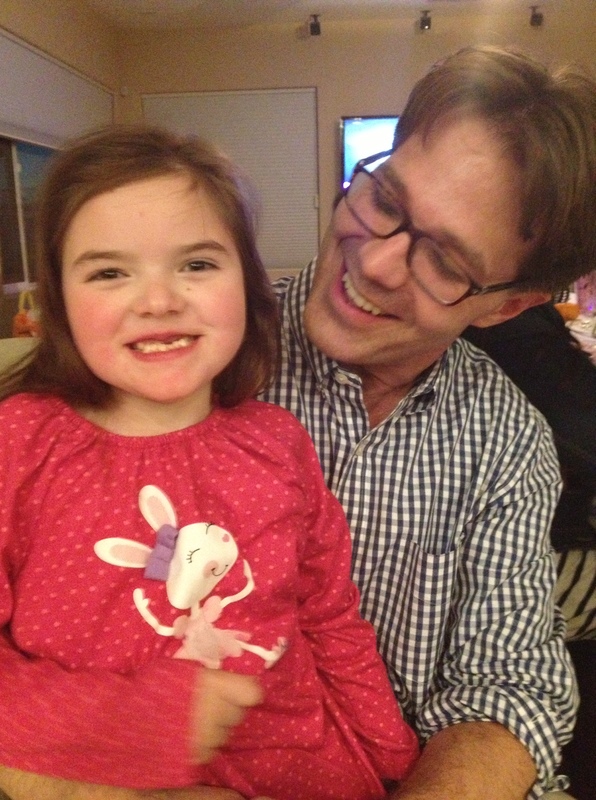 Biotech and big pharma, for the first time, are showing an interest in Rett Syndrome. Science is not linear. We do not know what might lie around the corner that can dramatically accelerate the development of a cure. Those of you who know me will know that I am aggressive when it comes to pushing the science forward but I am conservative in how research progress is relayed to families. I prefer facts over hype. Could a cure for Rett be around the corner? The answer to that question will come when we have a clearer picture of what form that cure will take. I can assure you that I will not rest until we accomplish that. Love alone cannot cure Rett but love and research will. It’s been 16 years and I am more than ready to deliver on my promise. Monica Coenraads interviews Michael Green, MD, PhD of the UMASS School of Medicine about his newly published paper in Proceedings of the National Academy of Sciences. The work was funded, in part, by RSRT. He has identified a number of genes that when disrupted can reactivate the silenced X chromosome in females. Some of these genes lie in pathways that are druggable which makes this work potentially clinically relevant not only for Rett Syndrome but also for other X-linked disorders. Prof. Green’s paper was covered by SFARI.org. in an article written by Jessica Wright. 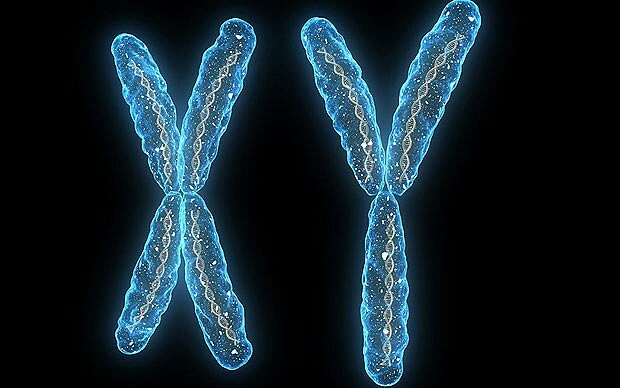 Drugs that activate the silent copy of the X chromosome in women may be able to undo the damage from mutations in genes located there. The study, published 2 September in Proceedings of the National Academy of Sciences, offers hope for treating Rett syndrome and other disorders linked to the chromosome1. One copy of the two X chromosomes women carry is randomly silenced in each cell of the body. This occurs when the chromosome makes small pieces of RNA, called X-inactive specific transcript, or Xist. A cloud of Xist coats the chromosome and blocks its expression. Female mice lacking Xist die in utero, so X inactivation was thought to be required for survival. The new study suggests otherwise. The researchers identified 13 genes required for X inactivation. Female mice missing STC1, one of these genes, show expression of genes from both copies of X and have no obvious symptoms. “The mouse findings suggest that you might be able to survive without X chromosome inactivation,” says lead researcher Michael Green, professor of molecular medicine at the University of Massachusetts Medical School. 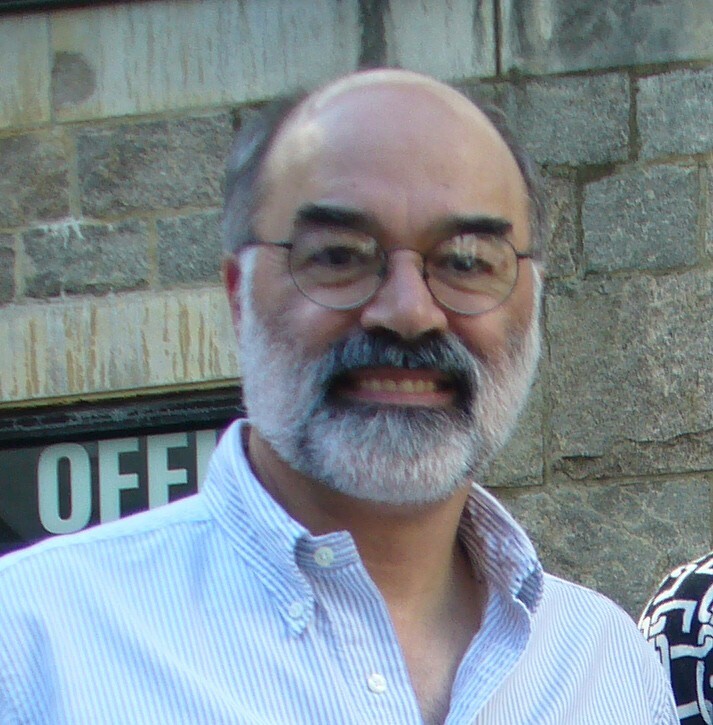 Guest Blogger: Frank Menniti, Ph.D.
Discovering drugs to treat diseases of the central nervous system is a formidable task. Our brains are easily the most complex machines on the planet and the more we learn about this machine, the more daunting seems the task of fixing it when things go wrong. This point is brought home for me when meeting people with some of the CNS disorders I hope to help treat. I’m new to Rett Syndrome but have now been to a couple of events along with girls suffering Rett and their families. How can a mutation in a single gene result in such a complex outcome?! There is a specific answer to this question, because MeCP2 mutation causes Rett, a specific disease. Yet it is a long and winding road from MeCP2 to that characteristic hand wringing and the many other symptoms Rett girls experience over a lifetime. Where to step in with a drug therapy and what to expect as an outcome? The best way to deal with such complex drug discovery problems is head on – identify the root cause of a disorder, fix that, and relief from even the most complex symptoms should follow. For Rett, there is very good basic science data to suggest that if we restore MeCP2 function then we will restore brain function, and so with habilitation therapy achieve a cure. Encouraging research along this line is ongoing and we can hope for success. However, many, if not most, of the drug discovery efforts around Rett syndrome target the consequences of MeCP2 mutations to provide a therapeutic benefit. Put another way, these approaches aim to mend the damage done to the brain that results from lack of functional MeCP2. In fact, this is the most common approach in CNS drug discovery, where root causes are seldom clear. Such approaches can be quite effective. Perhaps the best example is in Parkinson’s disease, where dopamine neurons in the brain die off. We don’t know why dopamine neurons die or how to prevent this die off, that is, how to fix the root cause of Parkinson’s. But we have a pretty good understanding of the dopamine system and from this knowledge drug therapies, and more recently deep brain stimulation therapies, have been developed that compensate for the loss of dopamine neurons. Take a look at this YouTube video of the effect of deep brain stimulation in a Parkinson’s patient. Clearly, this patient is being enormously helped by his therapy, even though the therapy does not fix the root cause of dopamine neuron loss. Can we fix the Rett brain and anticipate that complex symptom relief will follow? I think the answer is ‘yes’. And, there is a guidepost on how we may go about this in the efforts being made to discover new therapies to treat cognitive defects in schizophrenia. Schizophrenia, like Rett, is a neurodevelopmental disorder that results in an incredibly complex and variable array of symptoms. Of these, the cognitive deficits are the most debilitating, keeping patients out of school and work even after their more florid symptoms are under control. But these cognitive deficits are complex, as are their outcomes (that’s an understatement!). How would we know that a new therapy had a meaningful effect in the face of such complexity, let alone how to prove a benefit in a Phase II clinical trial? The schizophrenia research community, NIMH, FDA, and the pharmaceutical industry, took this problem on and the result was the MATRICS and CNTRICS Initiatives. In MATRICS, complex global cognitive deficits in schizophrenia were broken down into simpler components like working memory, for example as measured in the ability to remember a short word list. The idea is that improving a patient’s working memory, coupled with habilitation therapy, would make the patients better able to keep track of tasks and so hold a job or finish school. CNTRICS takes this one reductionist strategy one step further by trying to identify the fundamental physiological brain abnormalities that underlie the simpler cognitive components. For example, associating an EEG abnormality with a working memory deficit. The logic now is that, if we fix the EEG abnormality, we will fix working memory, and the patient has an improved cognitive toolbox to use in daily life. Clinical trial follows this progression – first, fix the EEG abnormality, which is most quantifiable and requires the smallest number of patients; second, take the learnings on drug dosing etc. from the EEG trial to prove a reliable drug regimen that fixes working memory; third, use this drug regimen, in combination with habilitation, to explore the potential for ‘real life’ benefits. I think a structured approach following a MATRICS/CNTRICS model could be very impactful in developing drug therapies for Rett. But the devil is in the details. The most obvious and immediate questions are scientific- what to measure first, second, third? Less obvious but no less important are questions around clinical development strategies and timelines for such an approach. Where along such a path does such a drug become approved and so commercially available? These latter issues will require significant thought and discussion among all in the Rett community. More of my thoughts on the science and these broader issues in future posts. If you’ve ever wondered why a Rett diagnosis is based on clinical features and not a positive MECP2 test or if you have a child with a Rett diagnosis but no MECP2 mutation or the other way around then this is a video for you. What exactly does atypical Rett mean and should individuals with CDKL5 and FOXG1 mutations be considered Rett? All these topics are covered in the video below. Variations in our genome are what make us unique. It’s also what predisposes or protects us from disease. For example, you may know people who eat high fat diets and yet have low cholesterol or people who, although they have never smoked, succumb to lung cancer, like Christopher Reeve’s wife, Dana. I’ve had the opportunity to meet girls with MECP2 mutations and normal X chromosome inactivation that are too high functioning to be diagnosed clinically with Rett Syndrome. These are girls who may walk, run, speak, write, draw, and in some rare instances even speak multiple languages and play an instrument. So what is protecting these individuals from having full-blown Rett? You guessed it: modifier genes. Those of you familiar with RSRT’s efforts know that we have been funding a project in the lab of Monica Justice aimed at identifying protective modifiers in mice. This past summer the Justice lab published the first modifier that suggests that statins (drugs that lower cholesterol) may be treatment options for Rett. More modifiers are likely to follow. In the last few years a number of factors have coalesced to make the hunt for modifiers possible in people: 1) the identification of a growing number of individuals with MECP2 mutations who are too high functioning to fit the criteria for a clinical diagnosis of Rett 2) dropping costs for exome sequencing 3) improved bioinformatics which allow for better analysis and interpretation of the vast quantify of data generated from sequencing. In light of these developments RSRT has awarded $314,000 to Jeffrey Neul at Baylor College of Medicine to sequence the exomes (the protein producing portion of the genome) of high-functioning kids/adults in the hopes that some common variables may point to modifiers which can then become drug targets. Importantly, the sequencing and phenotypic data will be a valuable resource as it will be deposited into the National Database for Autism Research and available to the scientific community. 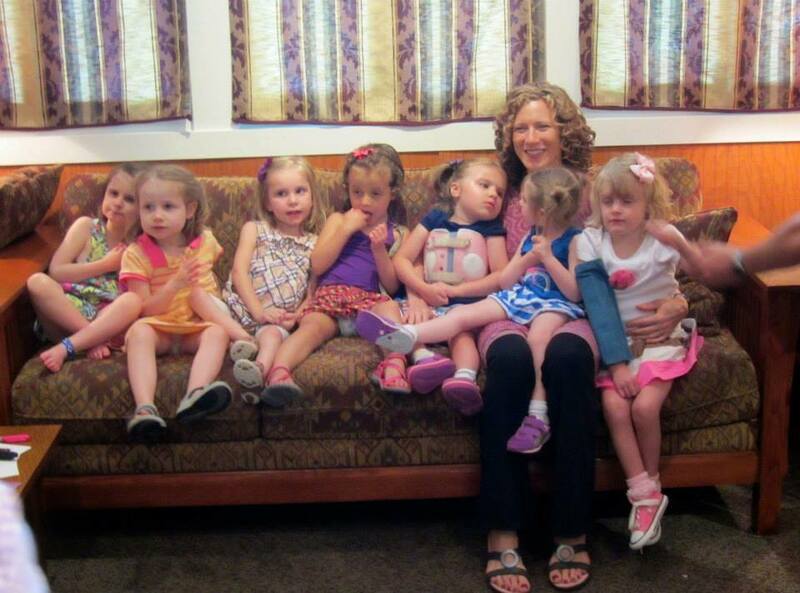 We need the Rett community’s help to identify high-functioning individuals who Dr. Neul may not be aware of. Watch the interview below with Dr. Neul to learn more about this project. What’s the Buzz About CRISPRs? Sometimes, new ideas come from the strangest of places; inspired by something that seems completely unrelated. This sort of out-of-the-blue brain blast is exactly what happened in 2012 when a study about bacteria’s adaptive immunity opened up the possibility for a new approach to gene therapy. While CRISPR technology was runner-up for the Breakthrough Technology of the Year in 2012, its presence in bacteria cells has been known since 1987. It was not until a series of studies between 2005 and 2007, however, that their role in the bacterial adaptive immunity was revealed. Short for Clustered Regularly Interspaced Short Palindromic Repeats; a CRISPR is a small length of DNA with a repeating and reversing sequence of base pairs (the pieces that make up genetic code). Found in a specific section (or loci) in the bacterial genome, multiple CRISPRs are usually grouped together in a string. Each CRISPR is followed by a ‘spacer’ section of DNA. When pathogens, such as a virus, attack bacteria they insert a section of DNA into their victim. Oblivious to any danger the victim reads and processes this foreign DNA. In so doing, the bacteria also retain a record within its spacers enabling it to recognize and fight off the same pathogen in the future. Each spacer therefore acts as a ‘bookmark’ for any pathogen attack the cell has encountered. How do bacteria do this? Preceding a CRISPR sequence are cas genes which make enzymes that copy the foreign DNA sequence and insert it as small fragments into the bacterial genome as new spacers. It’s this ability to identify, isolate, and splice out a specific piece of DNA that has captured the imagination of scientists. The CRISPR/Cas system can now be hijacked to accurately target genetic errors in DNA and remove them. Once removed repair systems kick in to fix the sequence. This can be done either of two ways: non-homologous end-joining which simply connects the two ends together or the more sophisticated homology-directed repair. Applying this to Rett Syndrome we can use the following example. The most common mutation in MECP2 is the T158M where a cytosine to thymine error at nucleotide base number 473 swaps a methionine amino acid for a threonine. One could envision using the CRISPR/Cas technology to introduce a cut at nucleotide base number 473, splice out the thymine and provide a cytosine base via a template. Cas enzymes and base repair templates would be delivered via gene therapy vectors. So where does the technology currently stand to be able to achieve this? Inducing the break in DNA can now be achieved efficiently and effectively however the repair step using templates is not yet ready for prime time as efficiency rates (the number of cells that actually achieve repair) are still quite small. Before the technology can be considered for therapeutic applications it also needs to be shown that the CRISPR/Cas machinery only cuts the DNA at desired sites as additional “off target” breaks could be damaging. The encouraging news is that progress with CRISPR/Cas technology is occurring at lightning speed with thousands of laboratories around the world working to improve the process. It is not difficult to imagine the immense possibilities for treating genetic disease. No wonder there is so much excitement with scientists themselves routinely referring to this new technology as revolutionary. We are starting the New Year with the wonderful news that Professor Adrian Bird has been Knighted for his services to science. For anyone following Rett research Prof. Bird needs no introduction. His list of contributions to the Rett field are numerous starting with the discovery of the MeCP2 protein in the early 1990’s to the development of the first animal model in 2001 to the unexpected discovery that Rett symptoms are reversible. We congratulate Sir Adrian Bird and wish him the best for 2014 – may the discoveries continue! At the end of every year the Simons Foundation announces its list of most notable papers from the autism field. Among these are two RSRT-funded papers: the gene therapy paper from Gail Mandel and Adrian Bird and the statin paper from Monica Justice. It seems that cholesterol and the brain is becoming a hot field. Following up on the RSRT-funded results of the Justice lab comes an intriguing (and unpublished) study highlighted by the Simons Foundation. Mutations in a gene that plays a role in producing cholesterol in the body increase the risk for autism, pointing the way toward therapies for some people with the disorder. The research was presented in a poster Tuesday at the Autism Consortium’s 2013 Research Symposium. Mutations in the gene, DHCR24, are known to result in a severe metabolic disease linked to cholesterol. The gene’s newly discovered role in autism suggests that statins, drugs that lower cholesterol levels, may treat symptoms of autism. “The potential is exciting,” says Timothy Yu, a neurologist at Massachusetts General Hospital and a researcher at the Broad Institute of the Massachusetts Institute of Technology and Harvard University in Cambridge, Massachusetts. The researchers screened 2,000 families that have at least one child with autism to identify rare recessive gene variants for the disorder. In one family, they found that a girl diagnosed with pervasive developmental disorder-not otherwise specified and two boys diagnosed with intellectual disability and autism had all inherited two copies of the mutation, one from each parent. “The gene is involved with the cholesterol synthesis pathway, so it started us thinking about the pathway’s role in autism and intellectual disability,” says Elaine Lim, a graduate student in Mark Daly’s lab at Harvard who presented the research. Rett Syndrome is a spectrum disorder with a broad range of symptom severity. Some girls can run, have some use of their hands and can speak in short sentences while others cannot even sit or manage to hold their head up. One reason for this variation is the child’s own unique genetic make-up – in other words, variations in other genes that impact the severity of the Rett mutation. Identification of modifier genes has therefore been a critical component of RSRT’s research program as the modifiers may provide alternate pathways to target. This hypothesis has now been supported in a major study that could lead to treatments for girls and women with Rett Syndrome. Today the journal Nature Genetics publishes data on the first reported modifier, called Sqle, an enzyme involved in the cholesterol pathway. Monica Justice, Ph.D and graduate student Christie Buchovecky from Baylor College of Medicine. The research was undertaken by Monica Justice, PhD, of Baylor College of Medicine, with a $1.5 million investment from RSRT. Dr. Justice tested statins (cholesterol-lowering drugs) on Rett mice models with encouraging results. A human clinical trial is now being planned. RSRT is committed to seeing this project through to completion as many more modifiers, and therefore druggable pathways, are likely to be found. We thank all of our generous supporters and parent organizations who make this important work possible, in particular our funding partners, Rett Syndrome Research Trust UK and the Rett Syndrome Research & Treatment Foundation. A year and a half ago my wife, Rachel, and I received the worst phone call of our lives—it was the Children’s Hospital of Pennsylvania informing us that our beautiful, bright-eyed, giggling two-and-a-half year old daughter, Eleanor, had tested positive for the MECP2 mutation that causes Rett Syndrome. We were simply devastated and didn’t know what to do or where to turn. The ensuing months were the hardest of our lives. Our dreams and hopes for our only child had been crushed. We watched helplessly as Eleanor stopped scooting on her rear end, as she had been doing, and developed a repetitive hand motion and other symptoms. Several months later, Rachel found the RSRT website. 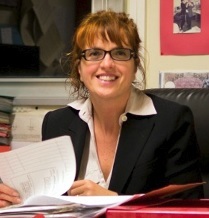 We made a call and RSRT’s co-founder and executive director, Monica Coenraads, answered the phone. We soon learned that we were not alone in our sadness and that there was a community of wonderful, supportive parents, grandparents, family members, and friends of families who have been impacted by Rett Syndrome. 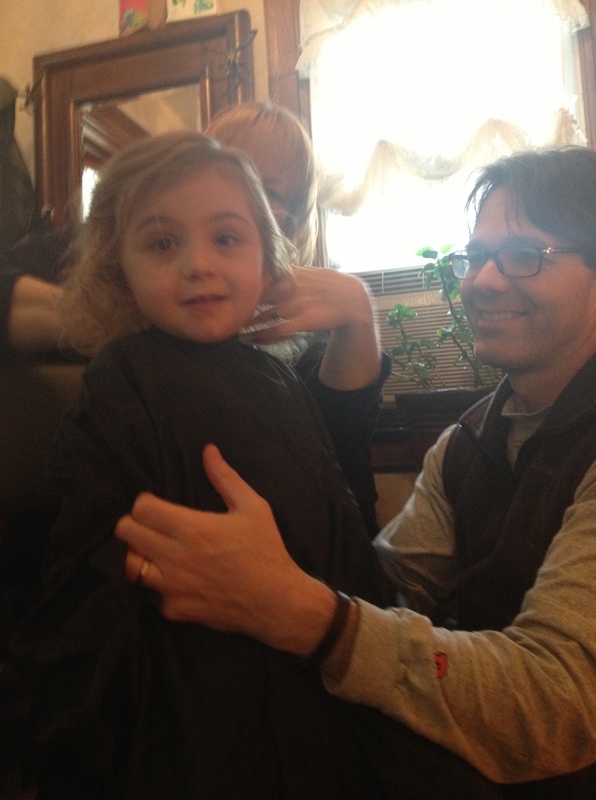 And even more exciting, we learned that there was hope for a cure for Rett. In fact, it was clear that there was a good deal more than hope—Rett symptoms had been reversed in an animal model, and very promising scientific progress was being made, much of it encouraged and supported by RSRT. Monica and I continued to correspond. I was seeking her advice and thoughts about Eleanor’s diagnosis, and I was trying to understand the research and science. Monica began seeking my advice about fundraising and public relations when she learned that I headed the development office of the Woodrow Wilson Foundation in Princeton, New Jersey, and before that had served as director of development at Columbia University’s Teachers College. It may have dawned on Monica and me at the same time that there was a fit here—that I cared deeply and personally about the work that RSRT was doing and that I had nearly 20 years of experience that could help grow RSRT and its impact on the lives of girls and women with Rett. The rest, to use the cliché, is history. My first official day as a Program Director at RSRT was June 17. Under Monica’s direction, I’m responsible for fundraising, public relations, and strategic thinking about the organization. I couldn’t be more excited. So many people, Monica foremost among them, have worked so hard and contributed so much to making RSRT the respected force that it is and to building the cumulative scientific knowledge that will lead to a cure. I’m honored and humbled to join this team. Frankly, I never imagined that I would be able to put my knowledge and skills to use for something so important to me. I’ve gone on longer than I intended, but I have one further thought. I’ve been thinking lately about President Kennedy’s 1961 speech to Congress in which he announce the dramatic and ambitious goal of sending an American to the Moon before the end of the decade. It took a huge team effort, conviction and confidence in a very clear mission, ample resources, and leadership, for the goal to be met. I think RSRT’s goal is not unlike President Kennedy’s in its ambition, its clarity, its importance, and its attainability. I also believe that all of us working together are the team that will get us to the moon. And, like building a rocket, a cure depends on cumulative knowledge that is the sum of its parts. The rocket needs its nose cone, its fuel tank, its electronics, its landing pads, and other components to meet the goal. Research is like this too. All the parts have to work together. It is cumulative knowledge that will get us there. I am tremendously grateful to Monica, to the RSRT Board, and to all of you who contribute your time, energy, and resources to RSRT for your confidence in me. 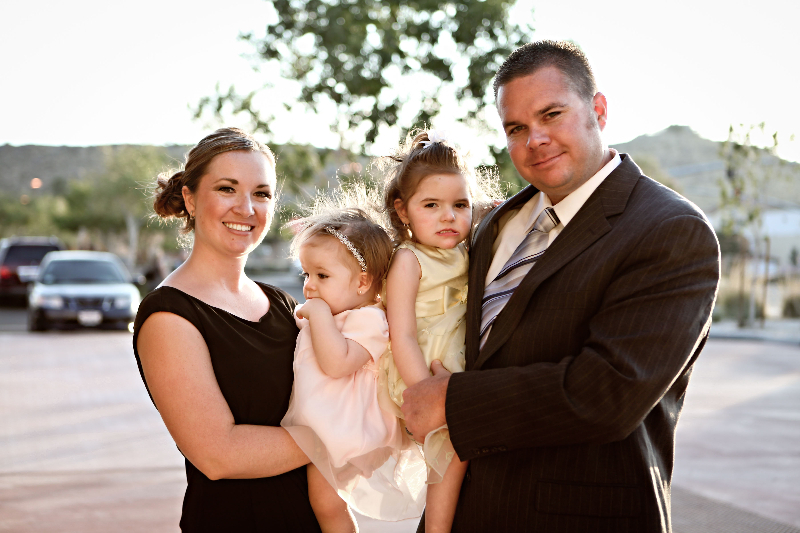 I promise Eleanor and all of our daughters that I will do my best in everything I do for RSRT. I will need your help, advice, and counsel—most of you know RSRT and all of its accomplishments and the Rett community at large far better than I do—so I hope I can call on you. Please don’t hesitate to contact me any time. My office line is 609-309-5676; my cell is 609-815-5102; and my email is tim@rsrt.org. I look forward to meeting you. We break down a few interesting results recently published. In contrast to two previous case studies suggesting that girls with more than one MeCP2 tend to have more severe disease, the new study found that participants with multiple mutations assessed using two quantitative measures — the Clinical Severity Scale and the motor behavioral analysis — showed no difference from those individuals with single, similar mutations. The findings appear in the American Journal of Medical Genetics Part A. Other factors, including the individual mutations themselves or how much of the mutated gene is inactivated as part of normal development, can worsen symptoms, the authors suggest. Future drug therapies that account for a person’s genetics should consider this small group of individuals, the authors add. It’s unclear whether earlier onset of seizures signals a poorer overall prognosis. EEG, or electroencephalography, an indirect measure of brain activity, is an important diagnostic tool in children with Rett syndrome because it allows clinicians to identify true seizures — as opposed to symptoms, ranging from hyperventilation or motor abnormalities, that are often mistaken for seizures. From 2 to 4 years of age and beyond, all girls with Rett syndrome develop abnormal EEGs, the authors write. There are few studies assessing anticonvulsant therapies in Rett, and many of them are short-term and involve only a small number of participants. “At our centers, we have circumstantial evidence of good responses to levetiracetam, lamotrigine, and topiramate,” the authors write. Although the clinicians also use valproate, the side effects can be problematic. In general, many children with Rett require more than one medicine. It’s still difficult to predict which patients will tend to develop seizures early and also whose seizures will be easier to treat. In the study, mutant mice still had MeCP2 in their tissues but only about half as much as healthy mice did. Although the mutated MeCP2 still bound to DNA and chromatin, the interactions were weaker and less specific for methylated DNA. In addition, although the ‘nuclear localization signal’ region of the mutated protein was still intact, protein was less able to move from the cytoplasm to the nucleus, where it can influence the production of other proteins. The paper is published in the May issue of Nucleic Acids Research.